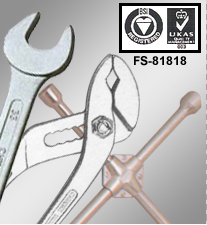 Jhalani forge :: Manuacturer and Exporters of Forging tools, gardening tools, automobile tools from india. Jhalani Forge Group consists of Companies and units, which were once marketing companies / suppliers to M/S Jhalani Tools ( India ) Ltd. ( JTIL ). Jhalani Forge Group is currently one of the largest supplier of Tool Kits to numerous manufacturers in Europe, Mexico and South Africa from India. We supply to Tier 1 suppliers who in turn supply to Automobile manufacturers worldwide.